What a journey! 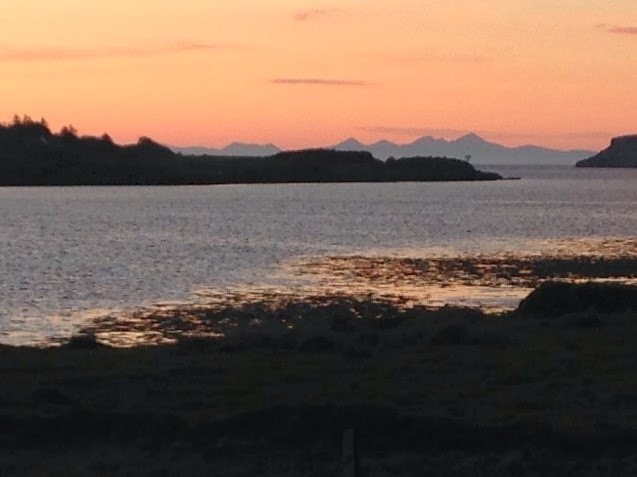 In real time, it has taken 6 months to find and secure a croft site for our new Homestead, it seems like years…But our long awaited ‘good times’ are finally here. Yipee!! On the morning of December 27th 2013, we left the final reminder of our time on Colonsay, our footprints in the sand. 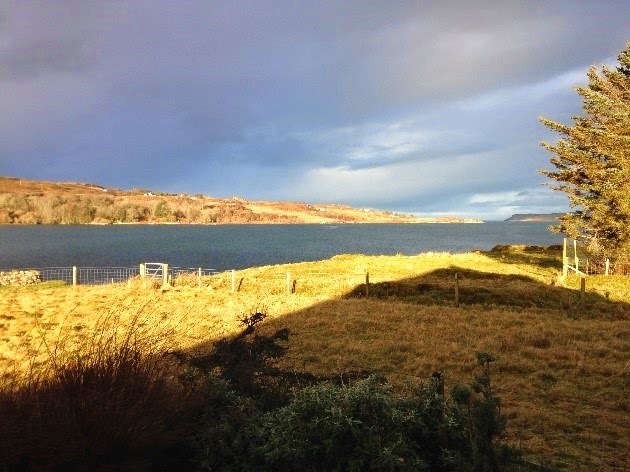 We arrived at our temporary Homestead with a view to settling somewhere ‘out West’. So what about Skye! There is a shop here called the Co-op!! It is such a novelty to us, it’s like being in a huge sweetie shop! Kapitein’s eyes light up every time he sees the large selection of Pizza’s – we’ll have to keep an eye on his waistline me thinks. He is notorious when he nips to the shops, he always comes back with armfuls of goodies, not that I am complaining. 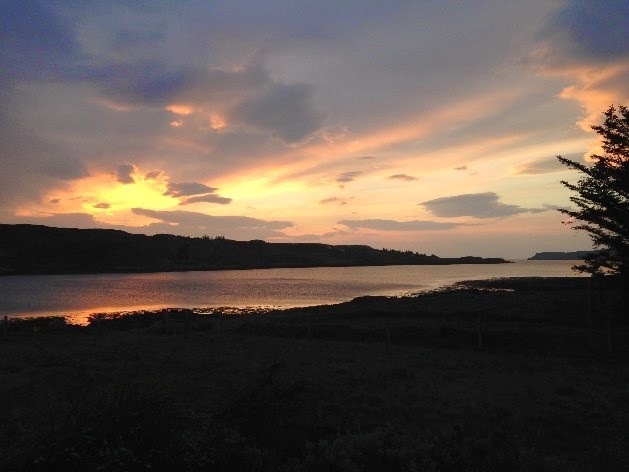 There is everything you could wish for and more, nearly on our doorstep, well, far fewer miles than 2.20 hours on a ferry and an overnight stay in Oban. But, I do miss seeing the wonderful yellow plane flying overhead on Colonsay, especially when it was bringing freight for us. 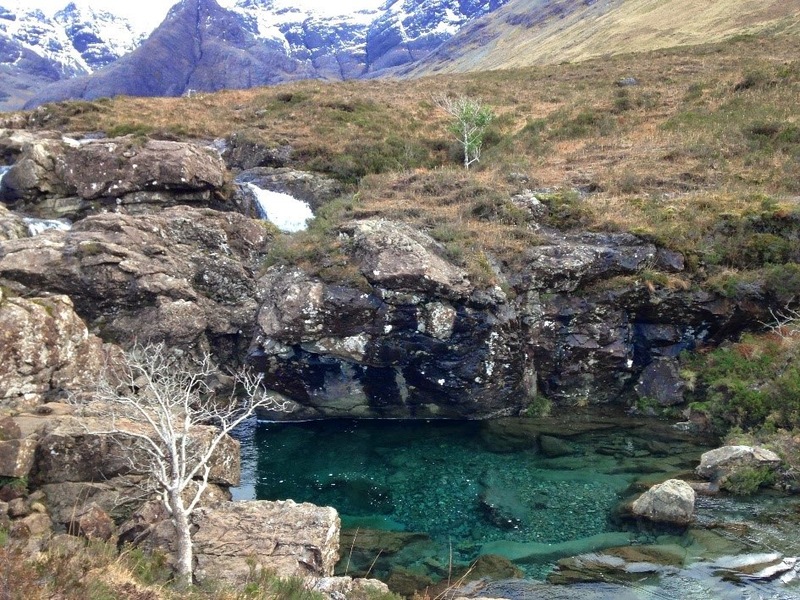 We have visited many parts of Skye and beyond. It was the depths of winter when we arrived with lots of snow – brilliant if you own a snowdog like Wolfie! 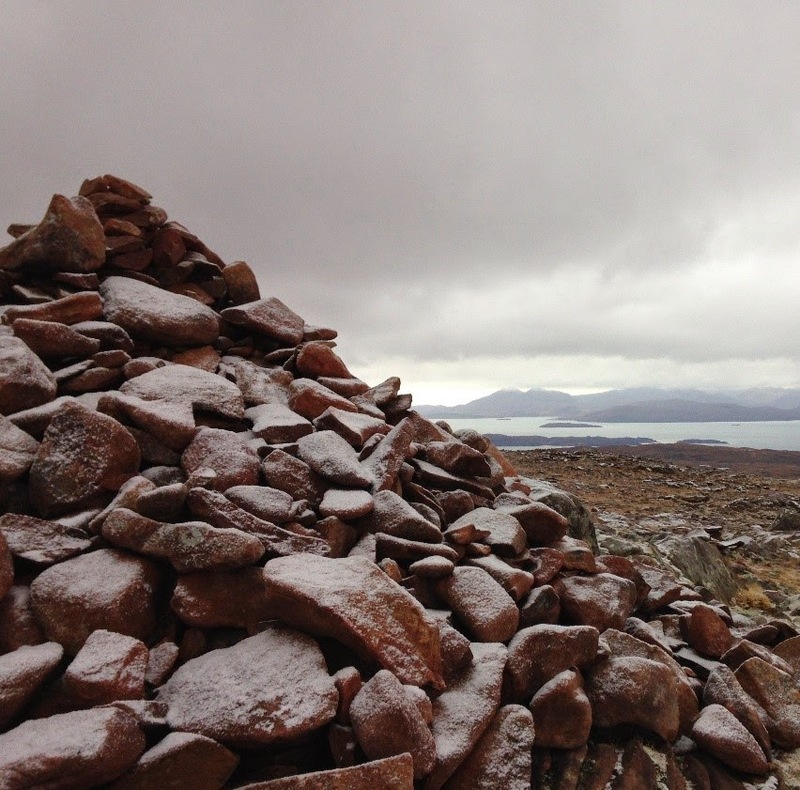 Applecross with Skye in the distance – it was very, very cold that day. 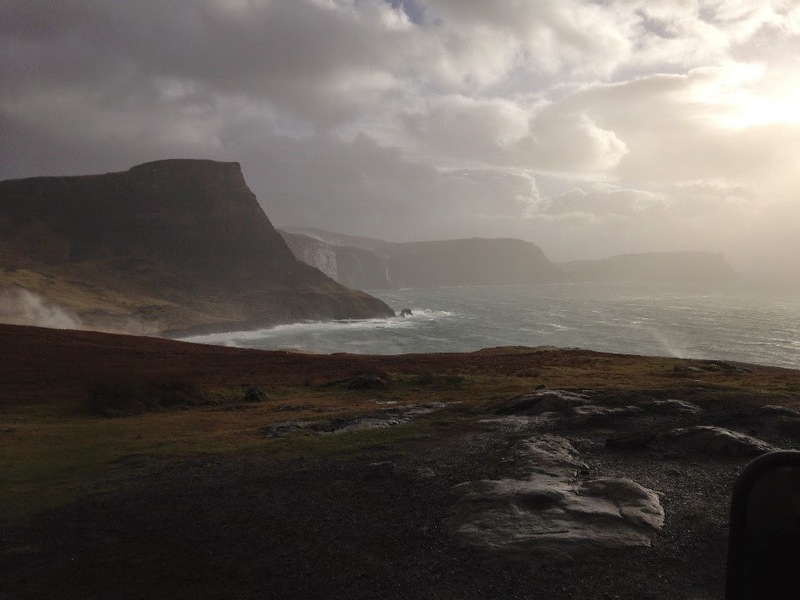 Isle of Skye is our new island home, and we have been so lucky. 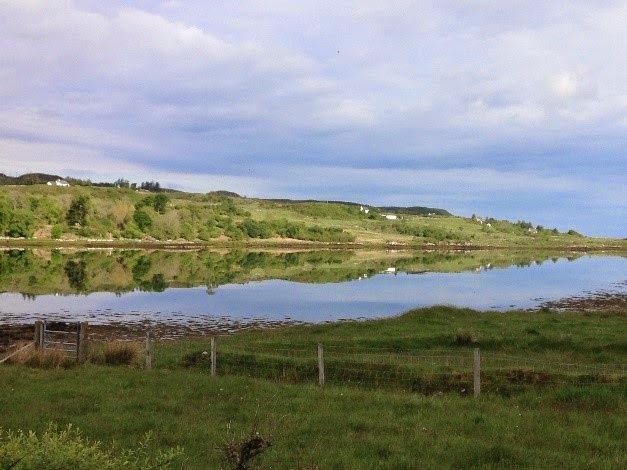 We have purchased an owner occupied croft where we are at the ‘edge’ too. It has shore frontage, with not one, but three slipways! Perfect for Kapitein. And a huge acreage too, perfect for our ‘boys’ (the canine and sheep variety) so it’s all go from now on. We received the keys – well, to the wooden gate, on Friday 23rd May 2014, with plans, plans and more plans in our heads. 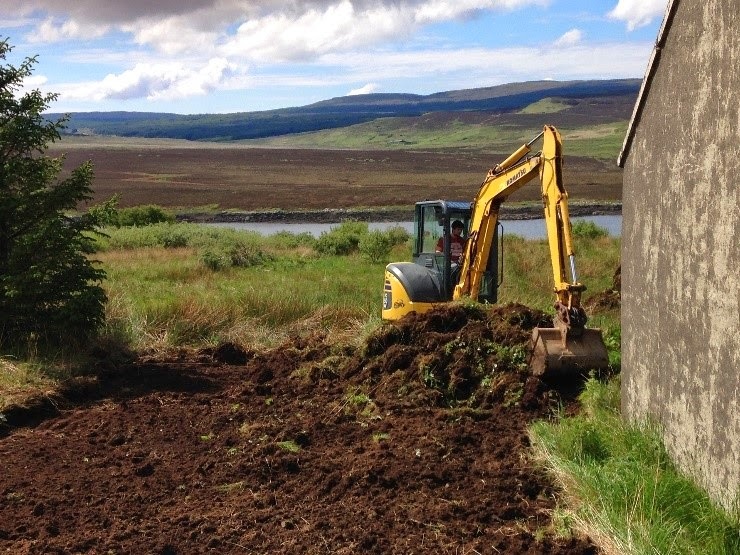 So where do you begin when you own a bare-land croft? 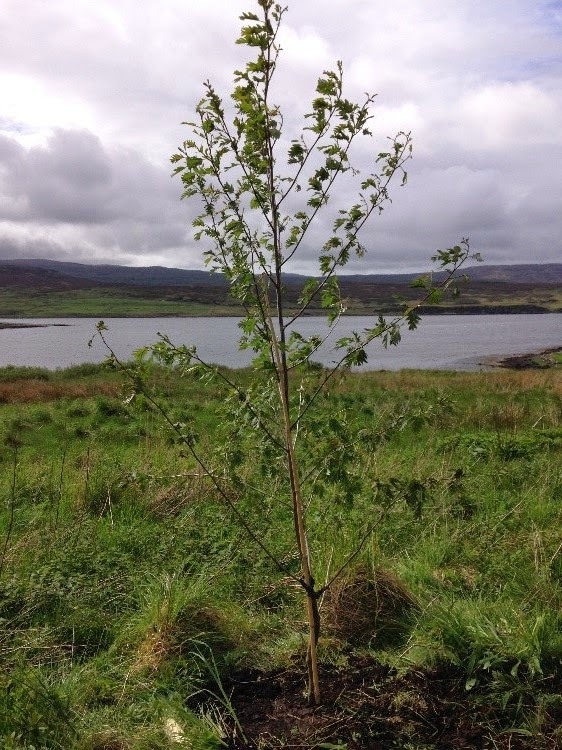 Plant a tree, this is a native Alder – we thought we needed to put down our roots as soon as possible. 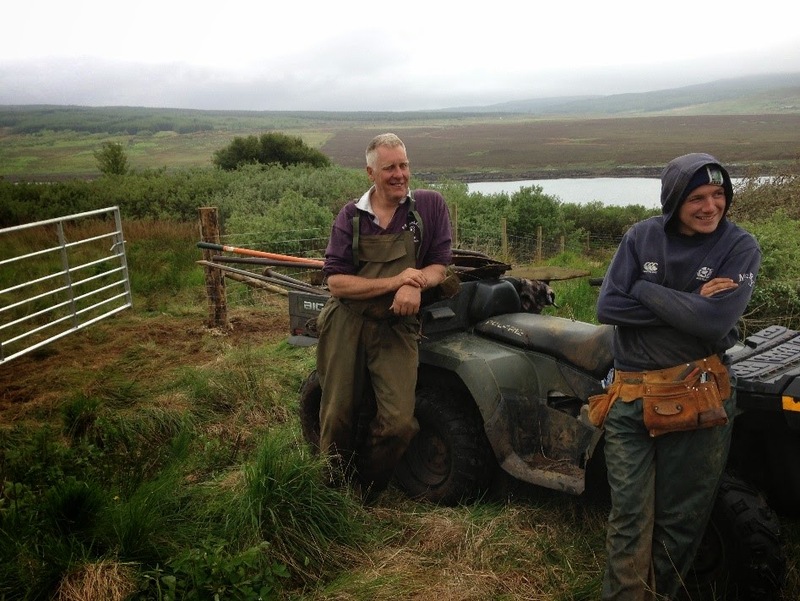 Surveying the land, we noticed there is an inordinate amount of Bog Myrtle on the croft – I see beer production, just for our own consumption, will be a must… Anyway, we were put in touch with a young chap, Magnus, an absolute dab hand with a chain saw. 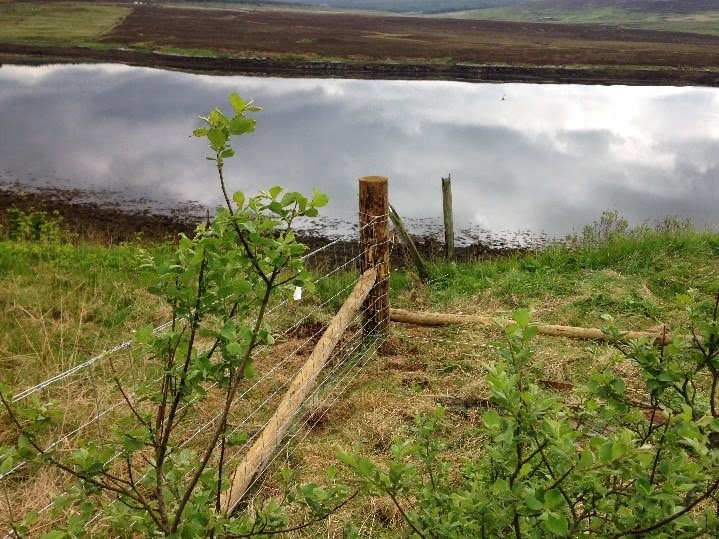 He cleared a path through the Bog Myrtle so that Malcolm the fencer could get a paddock fenced off, ready for the Tups arrival from Colonsay. With all of this work there is a huge amount of preparation now already completed. But one of our most wonderful moments ( and there has been several) was the day the containers arrived from storage – it was nice to see Gary from MaQueen’s storage in Oban, the last time we saw him was the day he left Colonsay via Hebridean Air Services (as the ferry had been cancelled) arriving home, just in time for Christmas. He told us he had a super flight. 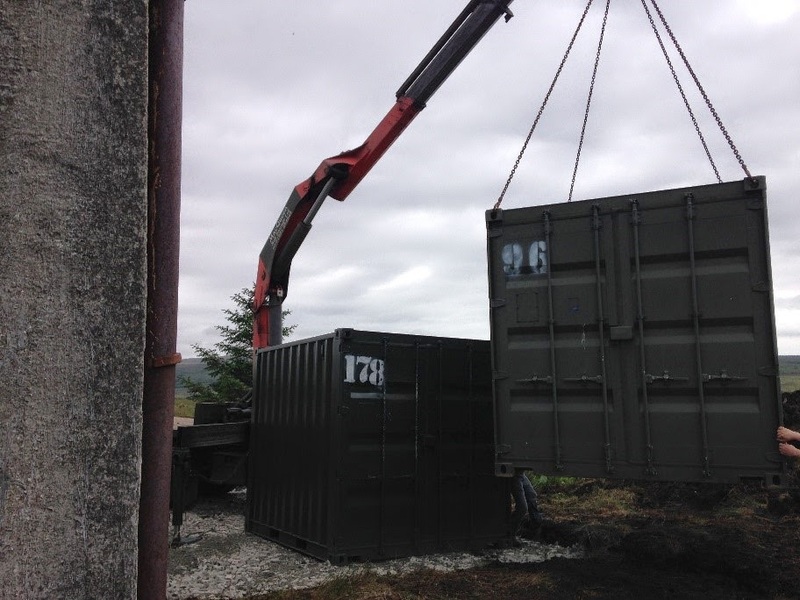 He offloaded the containers which had housed our few possessions rescued from the shed, including all of last year’s wool clip, this is so important, especially when starting anew. Plus Kapitein has some tools again, and we all know that every guy needs a shed with tools! 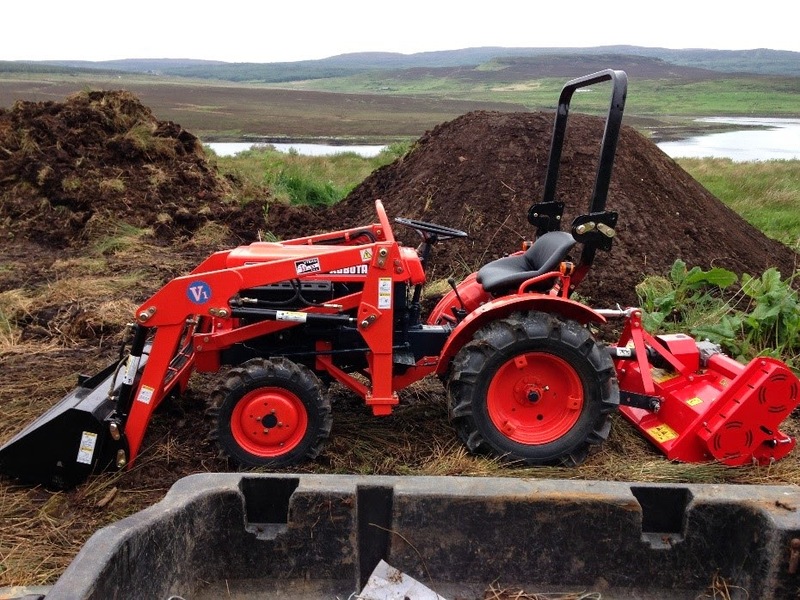 Next on the list of things to acquire was, we needed to get equipment for working the land – it has been neglected for a number of years, but the ground is good. First and foremost on this list was a tractor! And after an epic journey-it took just over a week to get here from the mainland, the tractor, affectionately known as Wouter de Boskabouter, arrived. Wouter De Boskabouter with our miniature Macleod’s Table in the background – built by a Macleod of course! And Kapitein! Well, he is in his element with all things tractor. What is it about ‘Boys and their toys’? He is often seen ‘flailing’ about in the field!! Well, that’s what he calls it!! Next thing we found was that many years ago, there had been caravans on this croft and that there was already a track down to the trees. 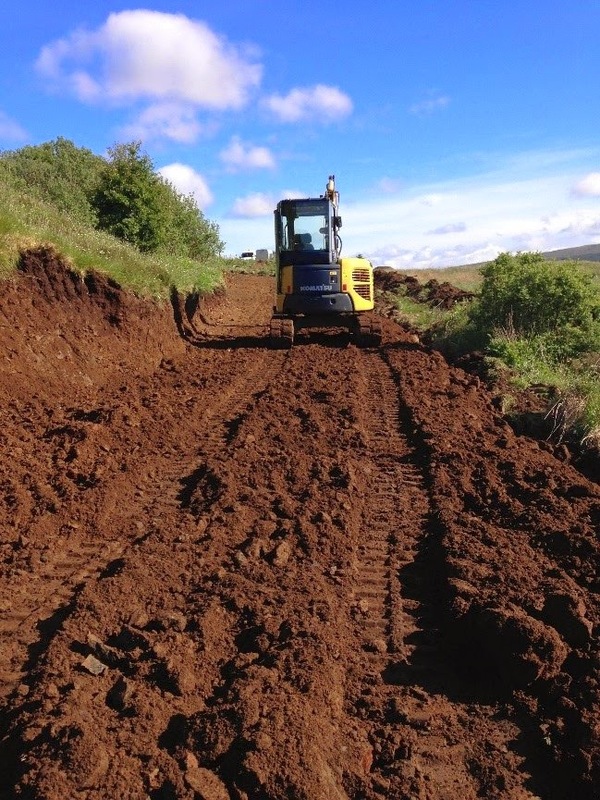 We spoke with John again from K.Lee Plant and what a surprise, he arrived with his ‘even bigger’ digger and set too on reinstating the track. 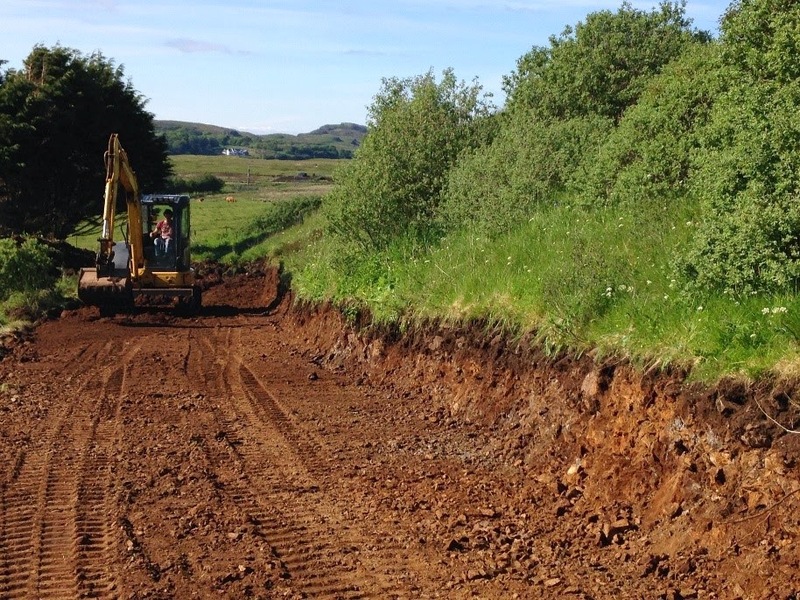 This is very exciting to us, the old road, becoming the new! 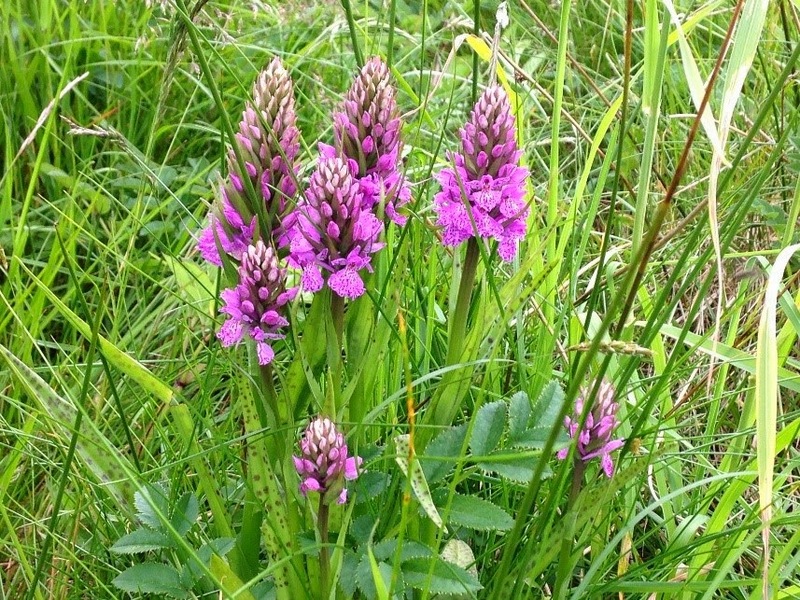 And a bonus for us is we have a wee quarry which contains ‘rotten rock’ which is rock that is perfect for the road. John got very excited when he saw this… He’s nearly as bad as Kapitein! Especially when both could be found ‘inspecting’ rock!! John is an extremely professional person and what he can’t do with his diggers isn’t worth knowing about. We are so very, very grateful for all of his hard work and sound advice. We also unearthed an old, working, septic tank and water connection – which had serviced the old caravan, neatly hidden under the undergrowth. There was also the old hard-standing where the caravan had stood. I will tell you all about the excavations with Wouter de Boskabouter in my next blog. We have also taken time out from working to see even more of our new island home. We headed off south to see the Glenelg ferry, it was a glorious day to see the ferry with new livery. 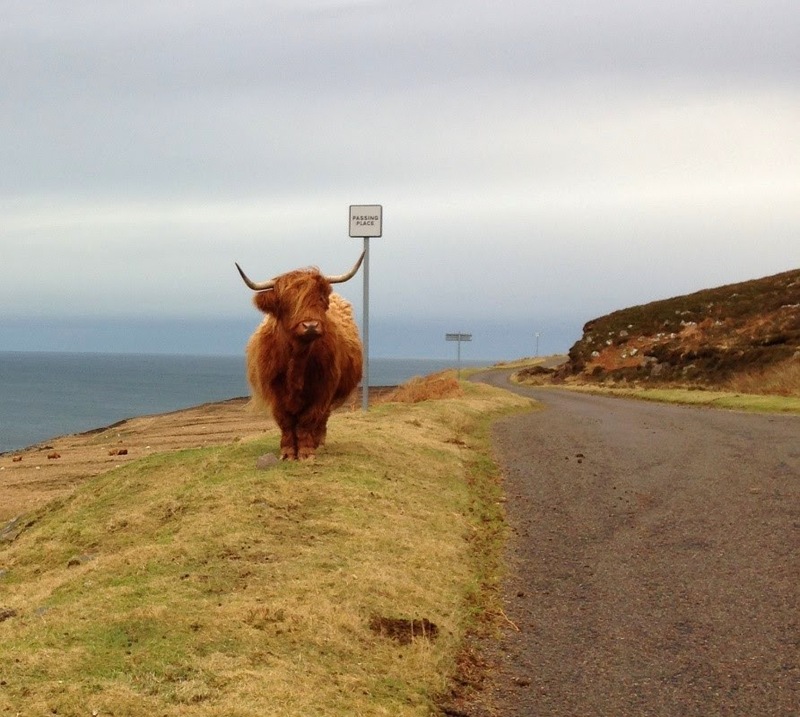 The Isle of Skye has everything, even two way traffic! Something very new to us having previously lived on such a small island with only single road – and passing places. But once off the beaten track, there are still many miles of single track roads here, with passing places that you never know what you may have to pull in for! !